Last week I wrote an article on Transforming L&D to Generate a Greater ROI where I highlighted that there must be a paradigm shift to transform L&D into a productive and profitable function. In this article, I also describe specific, “counters and metrics for assessing L&D impacts” towards improving productivity and retention. So, what is Adaptative learning? Traditional L&D interventions focused on a one-size-fits-all approach and gradually moved to performance based, solely focused on HiPo development. Adaptive Learning is improved from those approaches as it builds on a customized learning style. Adaptive learning platforms endeavor to transform the learner from a passive receptor of information to collaborator in the development process. 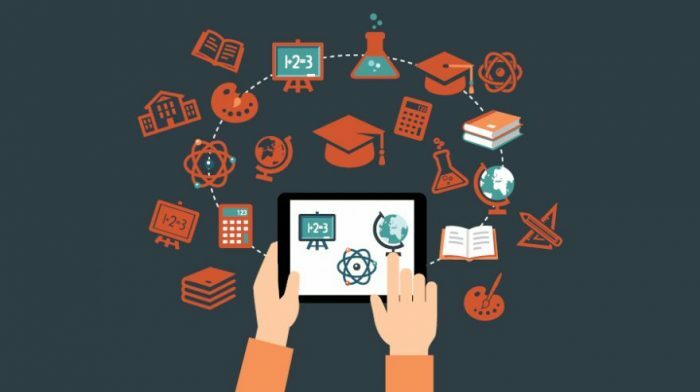 It utilizes an amalgamation of artificial intelligence and machine learning algorithms to address the unique needs of each learner to garner results. This industry is still in a nascent stage, currently around $350 million in market size but growing at 100% per year. At this rate, I envision adaptive learning to go mainstream as the preferred model for L&D, given the upside and benefits are far reaching. How does Adaptive learning help? Capacity improvement for HR/L&D: As individuals that use Adaptive Learning-based platforms, the system can determine what works/doesn’t work for the individual. Are they struggling with reading content? Do they like to watch more videos? What is the pace of their learning? Etc. The system adapts to their needs and challenges. With HR/L&D’s limited available time, they can use the analytics that is generated to have more data-driven conversations with individuals. Focuses on business challenges: Adaptive learning can intelligently integrate individuals, managers and L&D seamlessly using actions like smart nudges, personalized journeys, continuous 360 feedback etc. For individuals, an adaptive learning platform caters to their style, pace that is also measured. For managers, learnings can be aligned with business objectives, which ensures that the upskilling is relevant and necessary. For L&D a progressive way to get relevant actionable insights into areas such as IDP, succession planning etc. Instills confidence: Adaptive Learning is architected on intelligently interacting with the individual, creating an engaging and motivating learning eco-system. If an individual is not able to grasp certain topics, the system will introduce alternative ways to overcome the knowledge gap. It reduces the chance for human perception biases to creep in resulting in demotivating the individual. Scalability: Adaptive Learning platforms puts attentions toward custom-built algorithms that asses an individual’s needs, capabilities and challenges to create a virtual one-to-one model with localization and personalization. This allows a company to scale rapidly, where otherwise would be cost and resource prohibitive. In conclusion, Adaptive learning is here and will be a clear differentiator. Equally more, it’s exciting because we now have the technology to make these ideas real and scalable and bring consumer-grade adaptability to the workplace and make learning a more enriching experience. Workforce is getting younger and the need for cutting-edge technologies and intelligent processes is required and so it’s inevitable L&D programs will need to adapt and stay abreast of this demanding workforce to be relevant. Very insightful article in using adaptive learning to cater to the personalized learning needs of your evolving workforce in a scalable way!